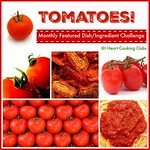 The Monthly Featured Dish/Ingredient Challenge at I♥CC: Tomatoes! with new potatoes and tomatoes from The Food Assembly. There are different opinions about the composition of chipolatas in different continents or countries. 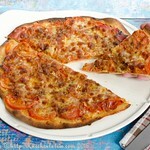 They could be made from pork, a mixture of beef and lamb or veal. I used some lamb fried sausage from the Turkish Butcher, a good source for local lamb. 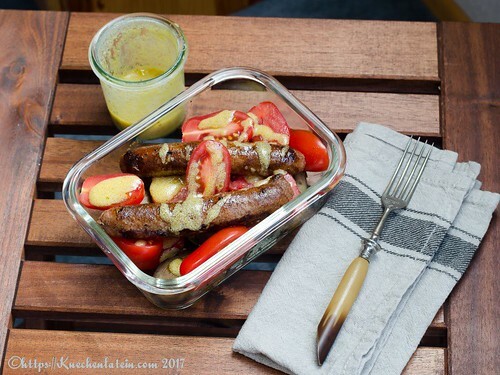 This is comfort food for work days: herby sausages, tangy tomatoes and potatoes, all lightly coated in a mustardy dressing. 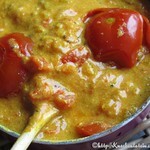 To make the dressing, whisk all the ingredients together in a bowl, or shake them in a small screw-top jar to combine. Put the potatoes and tomatoes in a bowl, trickle over most of the dressing and toss together. Transfer to your lunchbox. Place the chipolatas on top and trickle on the remaining dressing. Seal your lunchbox and don’t forget to take a fork and napkin with you. Note If you think your lunchbox might leak, take the dressing in the screw-top jar you mixed it in and add it before eating. Dieser Beitrag wurde am 13. 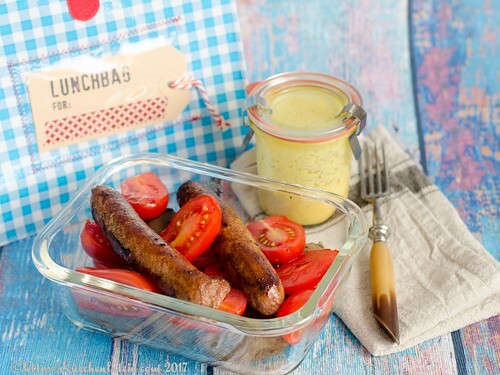 August 2017 von kuechenlatein in lunch@work, Recipes & Posts in English veröffentlicht. 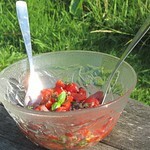 Schlagworte: Hugh Fearnley-Whittingstall, Kartoffel, Tomate. 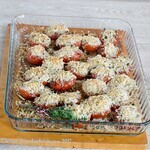 You’ve shared a beautiful collection of tomato recipes! 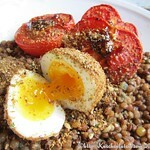 I’m still dreaming of the lentil and tomato dish from Heidi with the dukkah covered eggs – looks so good! 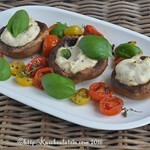 However, I must say that this dish – with it’s mustardy vinaigrette has totally won me over! I would love to sample some of the lamb sausages as we do not have that here. A beautiful lunchbox indeed! Wow what a nice lunch box. 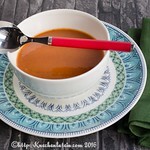 It’s perfect for the work day or a quick meal when you get arrive home and don’t feel like cooking. I would love to have that lunch box!